ACCESS DENIED. Those two bone-chilling words are the last thing you want to see when you're using your Asus computer, but they're not necessarily a dead end. The following solutions can help you find lost passwords if you forgot password on Asus Laptop. 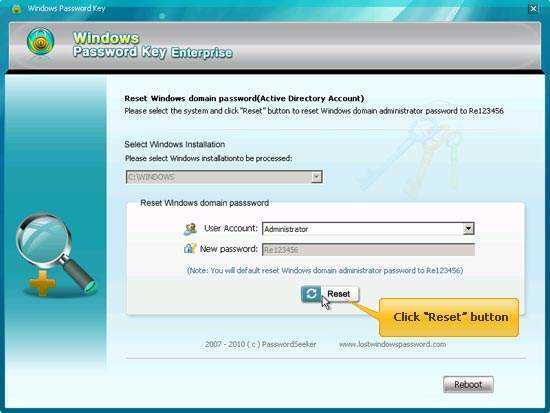 Let's take a look at a few Asus password reset tips and get into locked Asus computer easily. Extra Tip: How to Reset Asus BIOS password? 1. 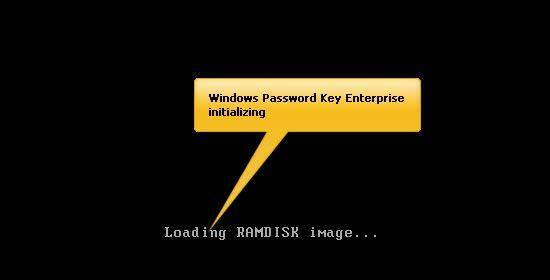 When you enter the wrong login password, click Reset password under the password enter box, and then insert Windows password reset disk (or other removable media). 2. 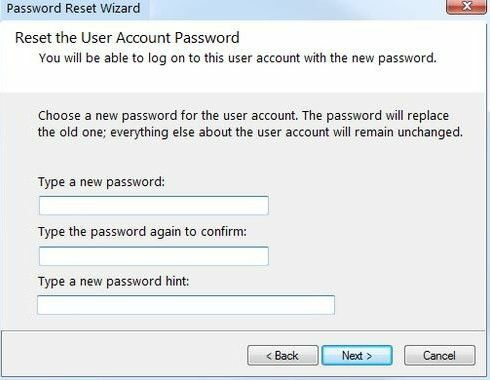 Follow the steps in the Password Reset Wizard to create a new password. When you can't login into Asus computer that you haven't touched in several months, try to boot it and reset password on Asus laptop with Windows Password Key. It can recover administrator and standard user password on Asus computer running Windows 10/8.1/8/7/Vista/XP. It works with any Asus models prevailing on the market. Following are short guide on how to override Asus windows 8 startup password. To get started, download this Asus password reset tool on another available computer. 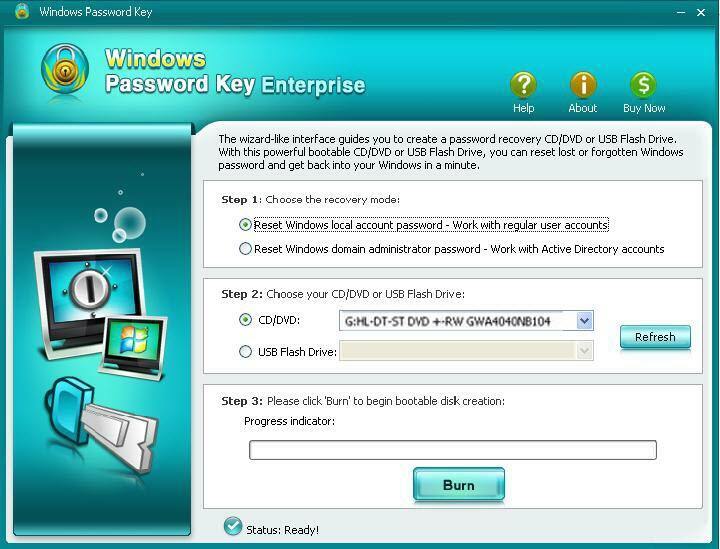 Step 1: Insert a CD/DVD/USB flash drive on the available computer, and click "Burn" to burn an Asus password reset disk. Step 2: Insert the newly burnt password reset disc to the locked Asus computer. Set BIOS to boot this computer from CD/DVD/USB. It will reboot automatically after you finish settings. Step 3: Follow the wizard to reset lost or forgotten Asus password. Extra Tip: How to Reset Asus Motherboard BIOS password? 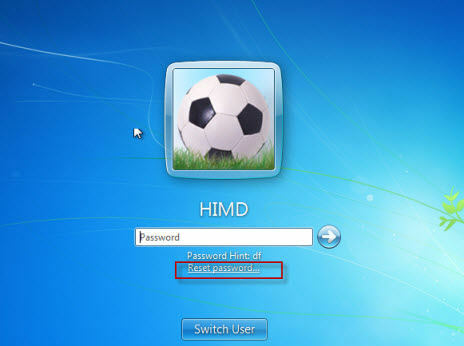 The BIOS or Supervisor password protects the system information stored in the BIOS. A password is needed for the user to access the BIOS Setup Utility to change system configurations. If you are using Asus desktop, you can clear BIOS password by clearing the CMOS memory on your motherboard and removing the battery CMOS battery. Open up your computer casing and look for the battery. Remove the battery for approximately 5 minutes (maybe longer, depending on the motherboard) and slot it back. However this is not practical for laptop user unless the warranty expired long time ago. This method doesn't always work, and it depends on the type of motherboard. If you failed with this method, you will need to contact Asus Service to have the system board serviced. We have figured out how to reset Forgotten Windows login password and BIOS password for Asus computer which are two of the most frequently asked questions in the forum. We hope this information indeed help you. Again, if you lost your Windows password on Asus laptop, try Windows Password Key. It's easy and useful.